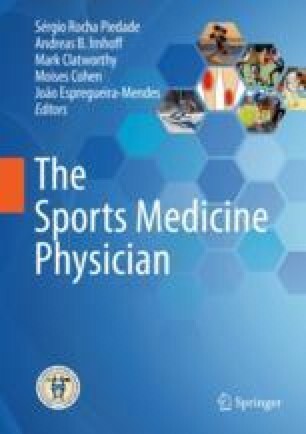 PROMs in sports medicine could be a useful tool to analyze the results of several sports injuries in athletes and sports practitioners, regardless of the involved anatomical site (the shoulder, hip, knee, foot, and ankle). Moreover, the athletic population has singular expectations and objectives, differing from the general and sedentary population. Therefore, PROMs could have a more significant role in sports, particularly when designed for this specific population, and the level of physical demand reported, the stress involved in sports practice due to competition level should be used as patient’s references. This chapter approaches different types of PROMs commonly used in orthopedics and also discusses the development of PROMs in sports medicine. Institute for Work and Health. About the DASH [Internet]. 2006. http://www.dash.iwh.on.ca/about-dash. A user’s guide to: Foot and Ankle Outcome Score FAOS [Internet]. 2003. http://www.koos.nu.